Try to imagine our life without water: we would not be able to drink, eat or wash ourselves. There would be no plants and animals, it would never rain, there would be no seas, rivers, lakes… In short, without water, life would no longer exist on the Earth. This is why the United Nations Organisation has decided to hold World Water Day, every 22 March. It was first instituted by the General Assembly of the United Nations in 1992, following the Rio Conference on Environment and Development, to encourage everyone to remember the importance of this resource that is so essential for life. 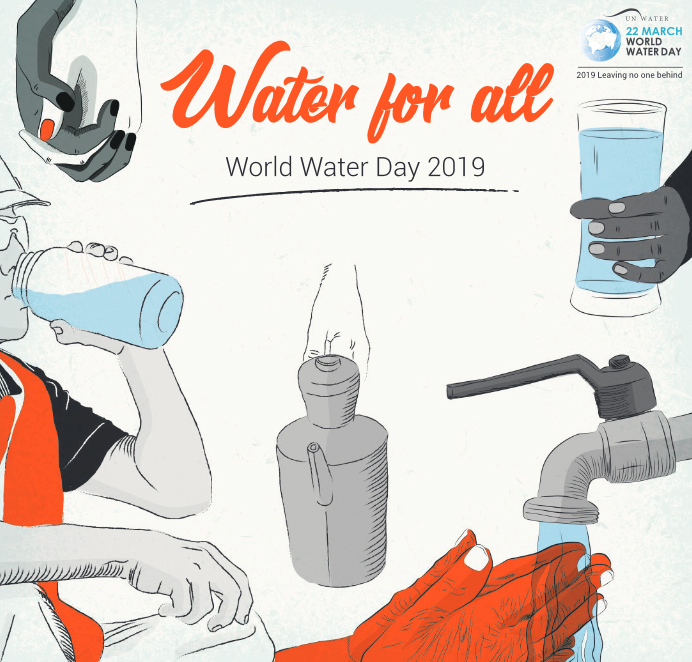 The theme chosen for World Water Day 2019 is “Leaving no one behind”: indeed water belongs to everyone and all the men, women and children in the world have the right to access clean water to satisfy their needs. The choice of this theme encourages reflection on the problems that millions of people face every day to obtain a small supply of water the quality of which, moreover, is poor, and at the same time it urges cooperation to reduce these difficulties. In 2010, the UN recognised access to drinking water and to clean and safe sanitary facilities as an essential human right for full enjoyment of life. The human right to water should entitle everyone, without discrimination, to sufficient, safe, acceptable, physically accessible and affordable water for personal and domestic use, which includes water for drinking, personal sanitation, washing of clothes, food preparation, and personal and household hygiene. To find our more on World Water Day, click here.